Poor Palestine – the major Palestinian players, Fatah and Hamas have degraded and set back the liberation movement by crawling with begging bowls to self-interested, absolutely not Palestine-interested, Arab states, and furthermore both are fickle beggars switching loyalties to conform to the US volatile currents in the Middle East. The Arab coalition was doomed to fail Palestine. Apart from being outnumbered and outgunned by the superior Zionist forces typically, then (and now), the Arabs were disorganised, under-resourced, headed by weak commanders, military incompetence, conflicting national interests and fractured by internal rivalries. These were mainly rooted in the Zionist ally, Jordan’s King Abdullah’s ambitions to hold sway over a Greater Syria encompassing Transjordan, Syria, Lebanon and Palestine threatening the independence of Lebanon and Syria as well as a potential challenge to the Egyptian leadership of the Arab world. Furthermore, ‘the issue of the “right of return” isn’t even mentioned in the peace initiative. The wording is: “Attaining a just solution to the problem of Palestinian refugees to be agreed upon in accordance with the UN General Assembly Resolution No 194.” The statement that the solution will be “agreed upon” points to an Israeli veto on every solution which we find unacceptable.” Amnon Reshef The abandonment of refugees is the signal that the Arabs are spruiking the Zionist agenda. These conditions, while untenable to Barghouti, Abba$, on the other hand, in 2016 ‘rejected any changes to the Arab Peace Initiative, stressing that he is sticking to it as it was approved by the Arab League in 2002’. Warned repeatedly by the intellectual likes of Edward Said, Naji Al Ali, Ghassan Kanafani and Mahmoud Darwish who distinguished the Arab people from their corrupt leaders, Hamas and Fatah know full well the politics of the the dictatorial Arab regimes is a sordid 70 year revolving door of intrigues, hypocrisies, betrayals. Edward Said remarked, “All, however, have decided that they do not trust each other any more than they care strongly for the welfare of their own people (which is to say they care very little)”. In 2016, the Arab League including the Sauds, Egypt, Jordan attended, in a show of support, the pie in the sky Abba$/ French Peace Initiative in Paris while Jordan, UAE and Egypt were simultaneously manoeuvring (along with Israeli defence Minister Avigdor Lieberman) for Death-Squad-Dahlan to replace Abba$. If that’s not enough to make your head spin, the under-the-radar rapprochement steps between arch enemies Dahlan and Hamas, should send you reeling; a reminder that in 2007 Israel’s darling, Dahlan and his death squads, under the supervision of US general Dayton, spread terror throughout Gaza, set up torture centres, assassinated Hamas officials and resistance fighters and led the failed military coup against Hamas. Prior to the US-backed war on Syria, Hamas had it headquarters in Damascus, but in 2012, as Syria struggled against US/Saudi armed Islamist forces, Hamas took its begging bowl to Egypt which kept the Rafah border closed in 2014 during the 51 days of the vicious Zionist assault on Gaza. To date, not one Arab regime, Jordan, Egypt, Morocco, Saudi Arabia, Kuwait, UAE, in 70 years, has saved an inch of Palestine from unabated Zionist theft and yet Hamas and Fatah leaders incompetently, stupidly, shamefully overlook the fact that all these regimes are puppets whose strings are controlled by the Zionist/USA alliance. It had been said of George Habash, founder of the Popular Front for the Liberation of Palestine (PLFP), “He was feared by Arab regimes, and respected and loved in the refugee camps.” Therein lies the key to revolutionary success à la Castro – the power lies with the people, within of the comradeship of struggle, within uncompromising focus on liberation and sovereignty. In that spirit, in September Mohamed Ahmed Madi and young Gazan PLFP members formed a Palestinian solidarity committee for the Sahrawi people. 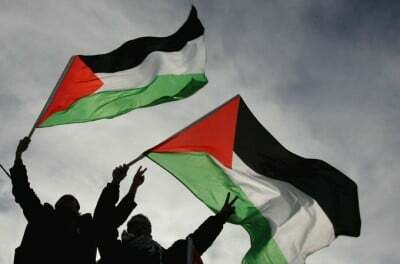 The struggle for freedom from violent occupation, theft of land and resources, wholesale government subsidised colonial immigration, exile in refugee camps, a vast Separation Wall, dependence on humanitarian aid, and international betrayal is almost identical in the histories of Palestine and Western Sahara oppressed by the Zionist entity and Morocco respectively . Respect goes to the young Gazans for defiantly continuing their solidarity online with the Sahrawi people and shame on Hamas for banning the group’s activities to toady up to King Mohammed VI who is Morocco’s Netanyahu clone. It is hard to understand why Hamas would offer a begging bowl of appeasement to Morocco which the US had designated as a major non-NATO ally, which since the 1960’s has had public and covert intelligence connections with Israel and Mossad including the assassination scandal of Moroccan opposition leader Mehdi Ben Barka in Paris. Even worse, in early 1967 King Hassan II passed on a secret recording alerting Israel that Arab leaders were ill-prepared for war giving the Zionists the edge for their preemptive strike and victory in the 6 Day War in which the Zionists seized the Gaza Strip, the West Bank, Jerusalem, the Sinai Peninsula and the Golan Heights. While Morocco and Israel ostensibly haven’t had formal relations since the First Intifada, Hamas would know that Israel has continued to supply intelligence and weapons, such as Heron drones to aid Morocco’s control over Western Sahara. The examples here are but a drop in the ocean of decades of ‘diplomatic’ bungling by the Palestinian leadership that has obstructed the political rights of the people of Palestine – unlike the stones of resistance hurled by the young at the lethal Zionist occupation. The identity of Palestine’s liberation movement in not in Hamas or Fatah, but in the stones and hands that Palestine herself has brought into being. Hands that link together with oppressed brothers and sisters struggling for justice as in Ferguson, with Black Lives Matter, at Standing Rock, with the Aboriginal Tent Embassy, with the millions who protested globally for Gaza in 2014, and who recently joined the global BDS* action against Hewlett-Packard in over 100 cities. Solidarity works. The people power of BDS has thrown the Zionists into paroxysms of panic demanding that Western flunkeys criminalise BDS and criticism of Israel.